Melgaço’s extensive border with Spain (either by land or across the Minho River) made this municipality a possible way of leaving and entering Portugal unnoticed, especially before the opening of the borders when Portugal joined the European Union in 1986. 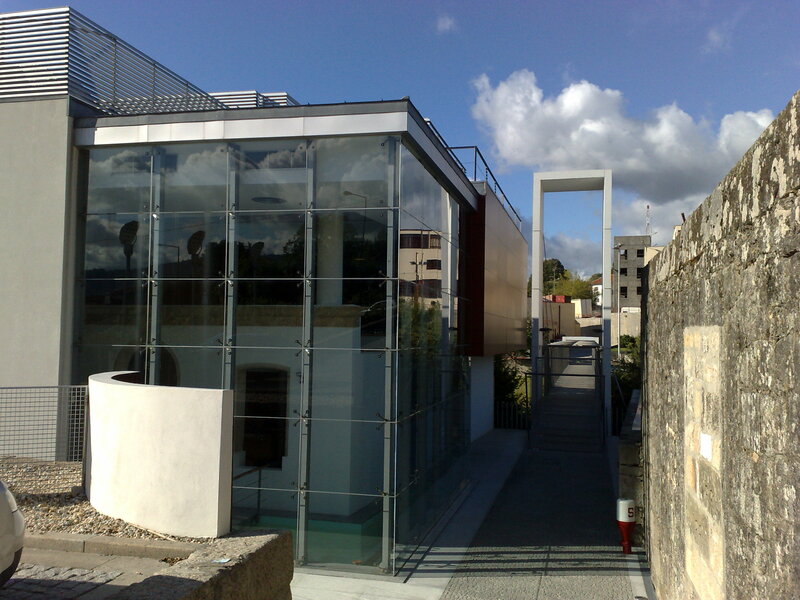 The museum “Memory and Frontier” is dedicated to the contraband history that used to be a part of the municipality and also to the illegal emigrants who left Portugal during the dictatorial regime years, searching abroad for a better life and job opportunities in order to be able to send money back to their families. Contraband was most common during the decade of 1940. 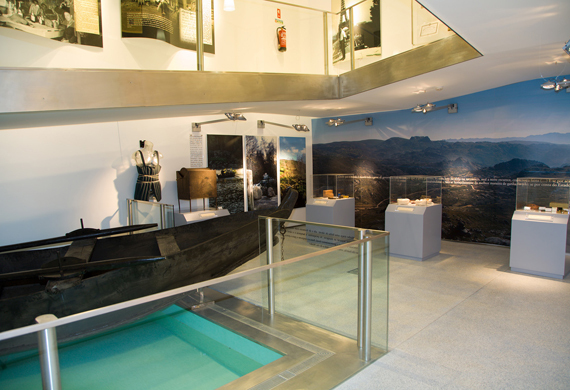 The ground floor of the museum features some original objects in exhibition like a small boat, a coffee toaster and a republican guard uniform. Any product with an interesting price difference between Portugal and Spain would be smuggled: coffee, soap, rice, almonds, and chocolate for example. The emigration part starts with a ramp towards the second floor symbolizing the search of a new life. The second floor shows the visitors the causes of the emigration, the preparations to the journey, passports and suitcases. Once you reach the second floor the documents are dedicated to the arrival and adaptation to the destination countries. Melgaço was a way towards France, Luxembourg, Belgium and Switzerland but many Portuguese also emigrated to USA, Brazil and Venezuela during this period. 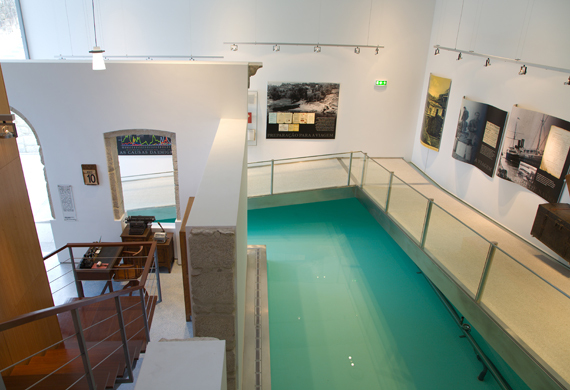 The museum is linked to the center of the town (Vila – Melgaço) by a pedestrian bridge over the small river “Rio do Porto”. Note 1: I actually liked visiting the museum: it displays interesting objects, it is well organised and it is quite interactive with motion detectors locating the visitor and adapting the soundtrack. 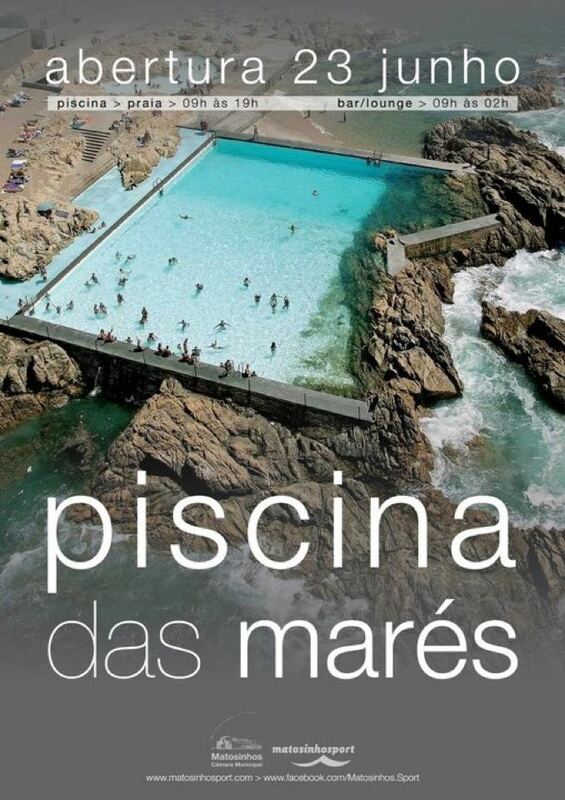 Unfortunately the sound and texts in the museum are in Portuguese only.